1. Two-strand twists I put in today. They're still damp here and should plump up a bit more once dry. 2. Watermelon sorbet mixed with Kiwi-strawberry sorbet with fresh strawberries from Yogli Mogli (the rogue gummy bear is my kid's.) So yummy! 3. Healthy eating! Cooking your own dried beans is healthier than canned beans. Canned goods contain BPA. 1. Pinot Grigio is one of my favorite white wines to drink in the warmer months. 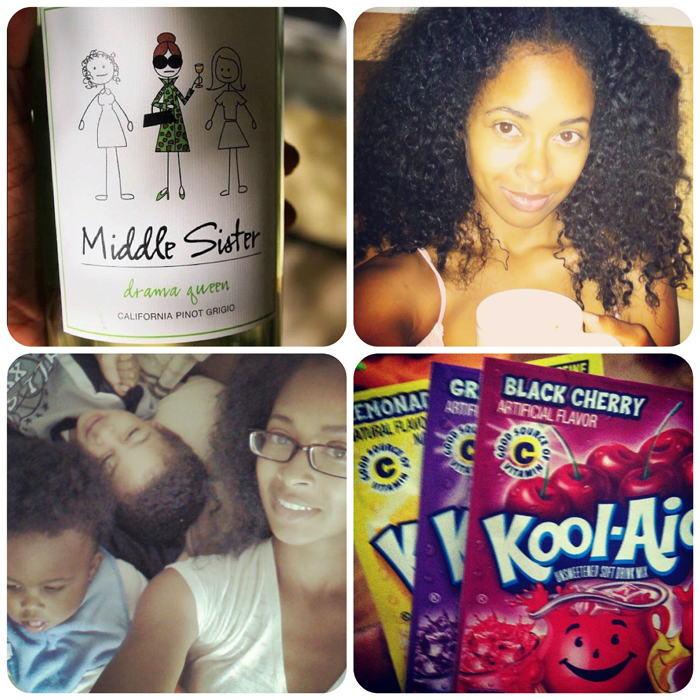 Decided to try this brand because I have two sisters--can you guess which one I am? 2. My I need coffee face. 4. Yep, I still make Kool-Aid. 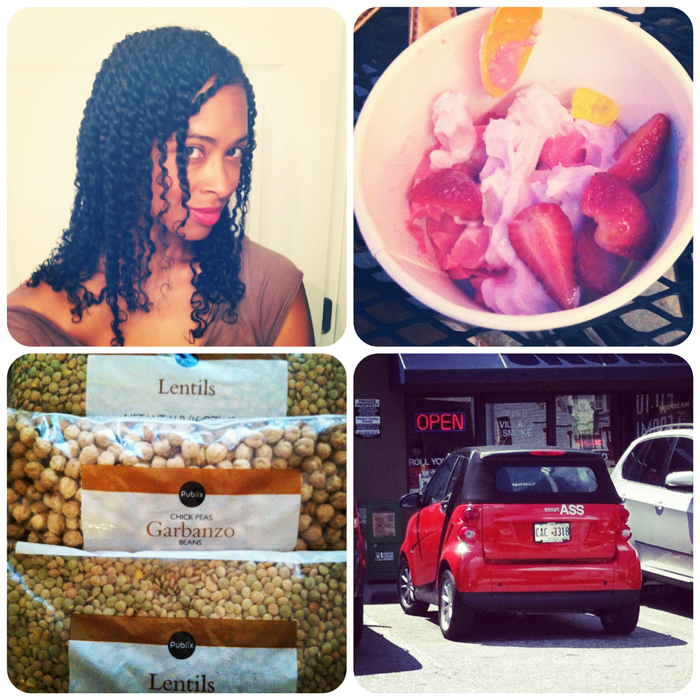 Your twists are super cute and that strawberry sorbet looks delish and so refreshing! Enjoy your weekend with those cuties! Uh oh...you put me on to Pinterest so now I'm probably gonna check out instagram *sigh* ;). Great twists by the way. Your are very pretty and who can forget about Kool-Aid?!?! I may have to try this Instagram thing out! That sorbet look so yummy! I will definitely have to try Yogli Mogli one day! On the twists--I twisted them wet and the products used were shea butter (a blend I make with EVOO) and Fantasia IC gel. That's it! Your boys are soooo cute! i'll have to find you on Instagram! few of the posts I realized it's new to me. Anyhow, I'm certainly delighted I discovered it and I'll be bookmarking it and checking back regularly!